Are you looking for something extraordinary? Would you like a career doing things that others can only dream of? In your work would you like to not only transform your life but the lives of others? How would you feel if doors opened that you didn’t even know existed? Have you ever thought about making money doing what you enjoy? Are you feeling “burned out” at your current occupation? Have you ever wondered what would it feel like to look forward to going to work in the morning? Would you like to be qualified to work in warm tropical locations throughout the world? If your answer to any of these questions is yes, then you should consider becoming a PADI Open Water Scuba Instructor. Florida Keys Dive Center became a PADI Instructor Training Facility in 1987 and is one of the four PADI Career Development Centers located in Florida. We have successfully trained hundreds of PADI Open Water Scuba Instructors and we are proud to say that our success rate is 100%. Instructors we have trained now work throughout the United States and around the world. 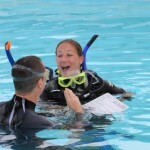 We have two Course Directors on staff who collectively have over 30 years training PADI Instructors. Information about our Course Directors and the rest of our staff is available on our Meet the Staff page. We are located at mile marker 90.5 ocean side in the Tavernier section of the city of Islamorada. We dive sites located in Key Largo, Tavernier and Islamorada. We are 1 ½ hours from Miami airport and 2 hours from Ft. Lauderdale airport. Roundtrip bus transportation is available from the Miami airport. A Thrifty Car Rental is within walking distance. These sessions are completed at your own pace and convenience when you are “ready to learn”. Each online session concludes with an exam to assure you fully understand the information presented. You can register online for PADI’s eLearning IDC by clicking here. Dive Theory Requirements A prerequisite for taking the Instructor Exam is passing five (5) professional level Dive Theory Exams. The Dive Theory Exams are on Physics, Physiology, Decompression Theory and the Recreational Dive Planner, Equipment, and Skills and the Environment. 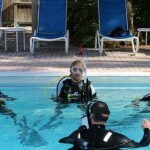 Instructor candidates are expected to have a passing knowledge of Dive Theory prior to the IDC and IE. 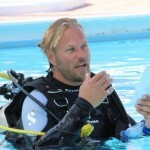 PADI Dive Theory Elearning: We require for our candidates to take PADI’s Dive Theory online* in preparation for the IDC . 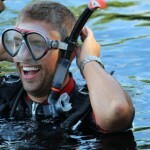 PADI’s fee for the Dive Theory online is $129.00. You can register for PADI’s Dive Theory on-line by clicking on the Dive Theory link. When you register on-line you must affiliate with a PADI dive center, Florida Keys Dive Center. You can view PADI’s Dive Theory online as many times as you like within twelve (12) months. Click HERE for Elearning After completing the Dive Theory online you meet the requirements for passing the Dive Theory Exams at the IDC. As and additional personal touch our course directors will take time to do additional remedial exams during your IDC, to help to assure mastery will be achieved on dive theory exams. 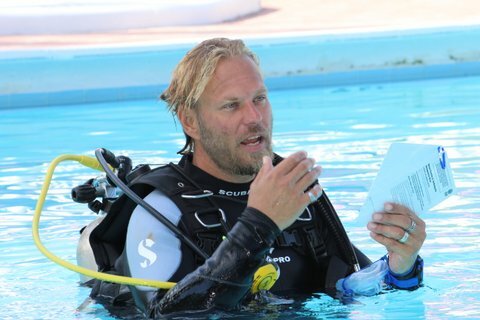 Master Scuba Diver Trainer Prep Course and Specialty Instructor Training Courses The more PADI Specialties you can teach the more marketable you become and the more valuable you are to an employer. 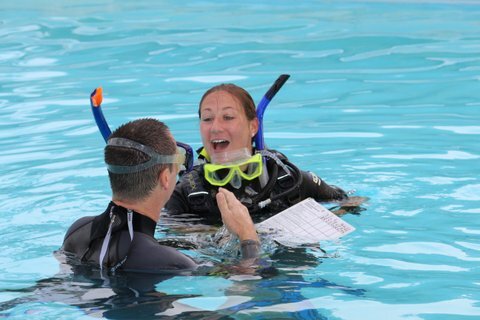 One way to qualify to teach specialties is to take Specialty Instructor Training Courses and complete the Master Scuba Diver Trainer Prep Course, taught by our PADI Course Directors. The Master Scuba Diver Trainer Prep Course consists of five (5) PADI Instructor Specialties that are taught by a Course Director: Our MSDT course includes: Enriched Air, Emergency Oxygen Provider, Deep Diver, Wreck Diver, Search and Recovery Diver, U/W Navigator. Course Cost $795* In addition we offer Underwater Naturalist, AWARE Fish ID, Boat Diver, Drift Diver, Dry Suit Diver, Night Diver and Underwater Digital Photographer Instructor and many more. 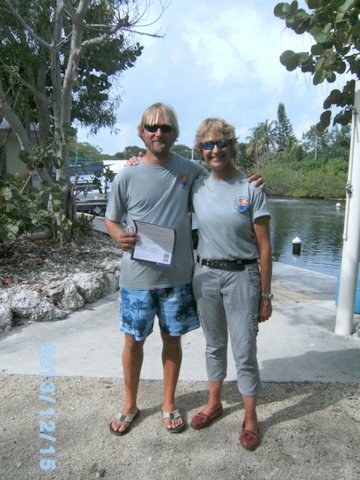 PADI Career DevelopmentCenter with two Course Directors who have over 30 years combined experience teaching IDCs. PADI IE & IDC application fees payable to PADI are not included. The 2018 fee schedule is: Instructor Examination: $690, Instructor Development Course Application $175, EFRI applicatio $118. We highly encourage IDC candidates to take the PADI IDC e-Learning course prior to taking the Instructor Development Course with us as this gives the candidates a good jump start prior to the start of the IDC. The “Dive Theory”- online course is required.